Date: 2012.10.23 (Tue) 6:00 P.M.
JYJ’s Kim Jae Joong is drawing a lot of attention by ranking high on every Japanese chart. Japanese magazine Anan recently did a survey asking, “What is your favorite Hallyu TV series?” SBS’s Protect The Boss, in which Kim appeared, ranked first. The fashion magazine, which sells around 300 thousand copies every week since 1970, is well known as a publication that features the top stars. The magazine is also very popular among girls from their 20s through 30s. The series was aired on Japanese TBS in July and received considerable attention. The ‘Protect The Boss Kim Jae Joong Special Making DVD,’ which will be released in November, ranked first on a chart as soon as they started to receiving reservation offers. Kim will start going on an Asian fan meeting tour on October 20 in China. SBS TV’s Protect the Boss,which stars JYJ’s Jae Joong, is currently very popular in Japan. Protect the Boss, which aired in Korea last summer, is currently airing on TBS, the biggest private TV channel in Japan. The series attracted a lot of attention when it was once introduced on KNTV and DATV, paid satellite channels in Japan. 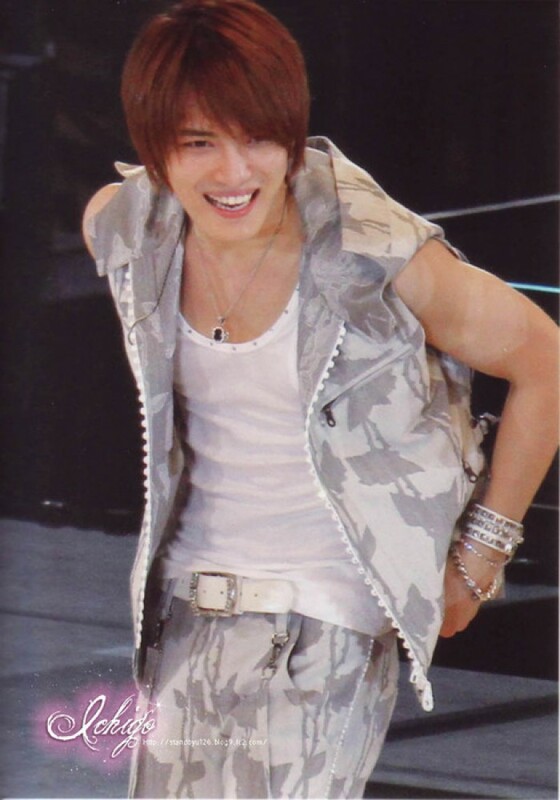 The reason for the DVD’s high popularity is Jae Joong’s Korean narration in the DVD. Jae Joong explains how important scenes were shot, tells behind-the-scenes stories about the shooting of the series, and introduces special scenes of himself singing and acting for about 180 to 240 minutes. 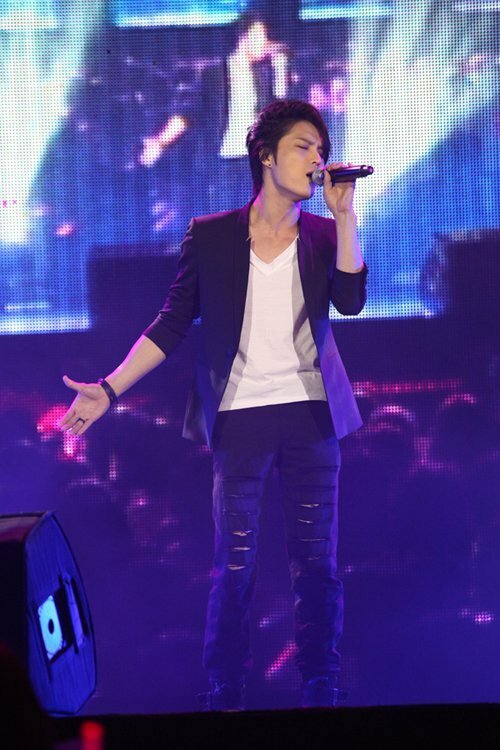 On May 23rd, JYJ‘s Jaejoong visited Taiwan for his ‘2012 KIM JAE JOONG FAN MEETING IN TAIPEI‘ event in promotion for his drama, ‘Protect the Boss‘. From the moment of his arrival, Jaejoong was greeted by the deafening cheers of 600 fans that had gathered at the airport. An official of the airport revealed, “It was supposed to be a brief visit just for his fan meeting so we didn’t think so many people would show up at the airport.” Local newspapers reported that his arrival had actually paralyzed the airport. Jaejoong kicked off his fan meet with live performances of his ‘Protect the Boss’ OST before moving on to playing games with his fans, revealing what he keeps in his personal bag, and a final performance of “No Gain“, a self-composition included in fellow member Junsu‘s solo album. 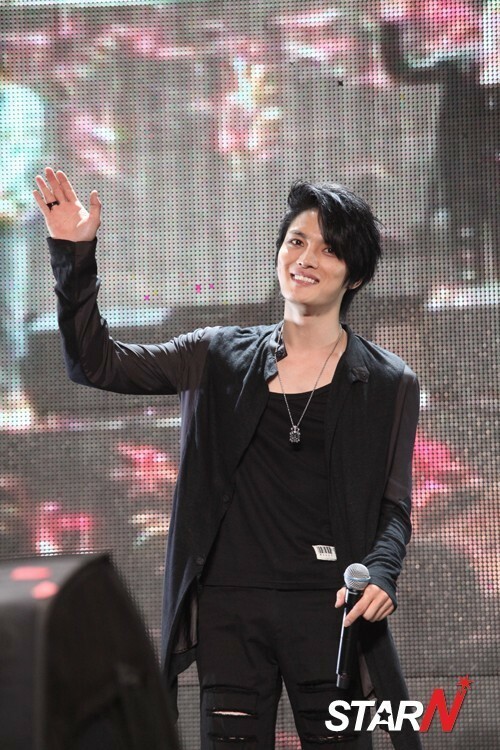 Jaejoong stated, “It’s been a year since I last visited Taiwan last year for our world tour. I missed you all. Thank you for the unchanging support. I hope that my fans had as much fun during these two hours as I had. I hope to see you again soon. JYJ‘s Jaejoong will be holding a solo fan meeting on May 23rd in Taiwan and it’s all due to the explosive popularity he is receiving with his last SBS drama, ‘Protect the Boss‘. On April 30th, according to his label company, C-Jes Entertainment, “After his fan meeting in Shanghai in December, he will be holding a solo fan meeting in Taipei, Taiwan at the ATT hall. 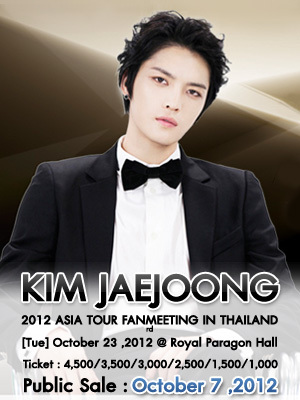 This fan meeting is a way to repay the high popularity he received through his past drama, ‘Protect the Boss’“. Actor/Idol, Jaejoong has received much love as his character in ‘Protect the Boss’, charmed many with his cool and mysterious personality. According to a Taiwanese representative, the drama has become so popular in Taiwan, that officials are in discussion to make a sequel. Jaejoong’s popularity is extremely high as his online fan members total over 100,000. In this upcoming fan meeting, Jaejoong plans to sing the OST, “I Will Protect You“, which he personally wrote. He will also have a casual talk with fans. It has been decided for the DVD of drama which Ji Sung and JYJ’s Jaejoong star in, “Protect The Boss”, will be released for sale and rental. ★Highly-anticipated milestone, Jaejoong’s first Korean drama! Jaejoong, who has always been very popular as a K-pop artist, finally made his appearance in a Korean drama for the first time, following his appearances in the movie “Heaven’s Postman” and the Japanese TV drama “Sunao Ni Narenakute”. He effectively takes on the role of a cool male boss, who is good at what he does, and is highly trusted by the company! ★A big break in Ji Sung’s acting, where he shows a different side of him! Jisung, who starred in a series of hit dramas, including “Swallow The Sun” and “Royal Family”, plays the role of a willful, good-for-nothing son from a distinguished family, who fares poorly in his job. With his acting, Ji Sung brings to life the character of a good-for-nothing, a big break for him in Korea!! 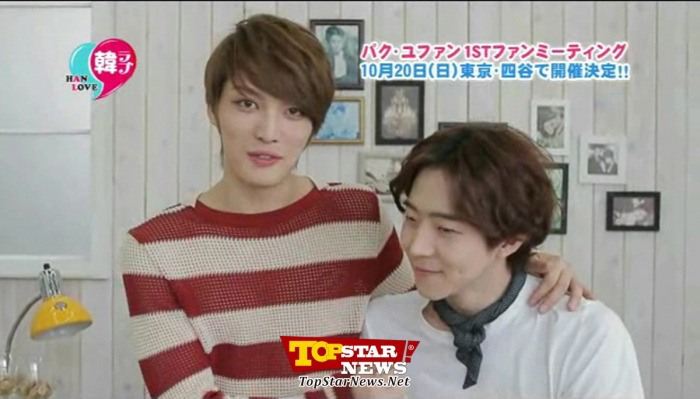 ★Much interest in the cute competition between Jaejoong and Ji Sung! Jaejoong, who plays the role of a competent cool-guy, and Ji Sung, who plays the role of a good-for-nothing son of a wealthy family, create much laughter when they act out comical and cute scenes where they physically fight over, the female protagonist, a newbie secretary. A romance-comedy that is both romantic and hilarious unfolds in the office and in the secretary’s office!! ★First time in history! Simultaneously broadcast by two broadcasters in Japan! A highest viewing rate of 20.5% was recorded in Korea! (The drama) became a topic of discussion when the broadcast was extended at the last-minute with 2 episodes added, and it was quickly decided for it to be broadcast in Japan! It became an exception, when DATV and KNTV both began broadcasting it simultaneously in November 2011!! ★Luxury benefits included in each DVD-BOX! Each DVD-BOX is bundled with a luxurious photobook and postcard set with Jaejoong and Ji Sung as the focus! In addition, in DVD-BOX II includes a special disc with NG clips will feature the honest sides of the cast, as well as other (related) programmes that were broadcast in Korea!! Japan – First to be broadcast simultaneously! Through the drama “Protect The Boss”, which finished airing recently, JYJ’s Kim Jaejoong began activities as an actor not only in Japan, but also in Korea. Amidst his busy schedule, he also completed the interior renovation works and moved into his new home. Most of the finishes and structures were left in their original state as each room was styled to give a different atmosphere, and the space has been decorated to give it a manly style. “I want ‘home’ that is not like (a regular) home. I would like it if it could look like one of those loft houses in New York, even if it is not actually a penthouse and does not have a loft. It would be great if it could have an urban look, while having an fun touch to it…” This is how Kim Jaejoong described the home that he wished for, while making his request to the interior designer. At first, the editors had their reservations when they heard from the designer that Kim Jaejoong’s manager had proposed a photoshoot and interview in (Jaejoong’s) home, since there were uncertainties as to whether Kim Jaejoong, as an idol, was suitable for Maison’s concept. But after hearing of the concept that he wanted for his interior design, the editors were eager to introduce his home. For the month after that, his home underwent interior renovation. Aside from leaving the wall and wood fixtures in the corners of the rooms as they were, and without changing the original structure of the house, the “home dressing” operation was as time consuming and required as much thought as would go into an entire facelift renovation. Wall finishings were changed into marble, vibrant chandeliers were used and classic elements were also added to the design. Working on the basis of the concept that Jaejoong wanted, all the elements that might become obstructive were removed, giving an entirely new look to the house. The key of the interior design was to make it an interesting space with a manly touch. Even with his schedule packed with filming for his drama, Jaejoong had meetings with the designer, reviewed and made changes to the proposed designs in detail, and also chose the furniture and displays together with the designer. It can be seen how interested he is with interior designing, to the extent that he would visit interior display shops whenever he had breaks in his filming schedule to purchase displays. Thus, the result is a home with a totally different style in every space, with a mannish-look and an interesting vibe to it. We spoke to the owner of this house, Jaejoong, about the topic of “home”. What about this house attracted you and made you move in? After the World Tour, the JYJ members all made plans to shift homes. This place was recommended to me by Yoochun’s mother after she had seen it. It is convenient in terms of transport, and a lot of sunshine gets in since the window are large. I also liked the structure of the house. I felt that every space could be decorated in the way I wished. It must not have been easy, having to shift houses and settling the interior design the house because of your filming schedules. Is there a reason why you pushed through with it despite being so busy? I thought that since I had plans to live in this house on a long-term basis, it would not do if it was not renovated. Also, if I did not set my mind on renovating before I moved in, I would just continue living as it was, so I did not want to delay things any further. The photographs of your home that you released via Twitter became hot topics in TV programmes and newspapers right? 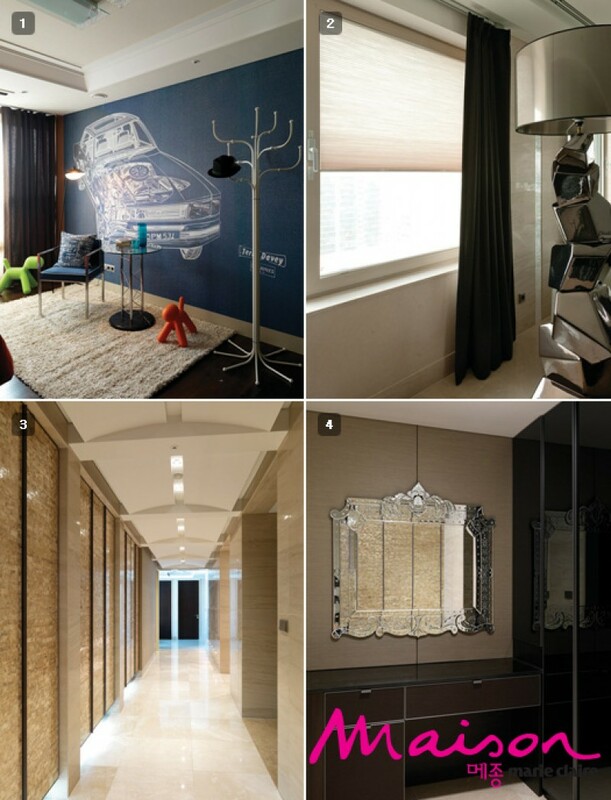 Have you always had an interest in interior designing? Do you often go shopping for interior displays? Rather than having an interest in interior designing, I think it would be more accurate to say that I have an emotional attachment to my own space, because I am the type which stays at home when I am not working. I did the decorating of my previous home myself. I focused on using black as the main colour to present a simple design with a manly touch. As I am not a professional, rather than deciding on a specific concept or style, I just bought what I liked based on my mood at that time. Aside from having to go overseas a lot, there were many performances and photoshoots, so I did not have much personal time, and did most of my shopping for design materials in Korea. I frequented department stores, the Nonhyeon-dong Furniture Street and even furniture shops in Cheongdam-dong. I sometimes also go to Samcheong-dong, shops along the highway, and underground shopping streets. If I drive past and see a furniture shop that I like, I would stop the car and turn back to have a look. Is there a reason for not directly doing the designing yourself this time but rather requesting for an interior designer to do it? If it is a professional, the details would be different for sure, so that is what I was anticipating the most. After hearing that it would be done together with Maison magazine, and after having discussions with the professionals, knowing that the images (of the home I want) that have been flashing over and over in my mind will be realised in a more sophisticated fashion makes me happy. Although there is already the concept of a loft house in New York, which is different from other houses, do you have more concrete ideas about what you would like your house to be like? I thought about how it would be nice if it could be a “travel destination” home. Before concerts, when there are no shoots, I like to stay at home. During this time, I compose at home until it is time for recording. As compared to having a home with the same concept throughout, I prefer each space to have its own theme. This way, even at home, it can feel like you are travelling. It’s very interesting. This is what I requested from the designer. What do you think about the completed home? Are you satisfied? 1. This is the guest room set aside for family and friends who visit the house. Using design elements such as the mural wallpaper with the illustration of a car and a Fritz Hansen’s Series 9 coat stand, the room is given an entirely new look. 2. Both Honeycomb blinds and curtains have been used in Jaejoong’s house, which has many windows. Milder colours were chosen for the fabric blinds to make the house brighter, while darker colours were chosen for the curtains to make the room feel calmer. 3. The corridor that is visible once one steps through the door. To the left is the bedroom and living room, and connects to the kitchen, and to the right is the work room, guestroom and recreation room. 4. A Neoclassic style mirror displayed, which links the classic elements which were originally present, with the newly added modern elements. Which is the space that you like the most? The recreation room. I really put a lot of thought into this room. I wanted it to be a place where my friends could play games when they came, a place where I could entertain myself with comic books, and also a place to collect all the little display items I purchase overseas. After telling the designer the overall colour scheme and sofa style, the designer made a few proposals with the concept of a “playroom”. The one I liked the most among those has become reality now. Also, the furniture displayed is also very unique and interesting. It is also very economical to make use of design pieces which will increase in value as time passes, together with the custom-made pieces of furniture which I like. Is there something you learnt for the first time during the designing of your home? In the process of designing my home, I feel that drawing up the plans at the beginning is the most important. Knowing the special characteristics of the house, deciding on a concept, then coming up with concrete design plans is the most important process. Similar to fashion, design requires not overly mixing colour together. Rather than choosing items spontaneously upon seeing something you like, it would give better results to follow the original plans. There must have been many difficulties, having to coordinate the interior designing while busy with work. With the filming for the drama coming to the end, work was really busy. Also, there were many cases where the designer would first discuss (the design plans) with the company, before the company passed the discussed proposal on to me. I am not one to do things carelessly, so if I suddenly had inspirations for designs when I got home at night after filming, I would tell the designers as well. During the filming of the drama, once there were breaks, I made it a point to visit interior designing shops. Although there was not enough time, there were many things I wanted to do… That was the most difficult part. Even so, after the renovation of the house was completed, I really felt that it was well done. After all, what meaning is there to a very nicely decorated house if I do not like it. You mentioned that you mostly stay at home when there is no work, what do you do to pass time when you are resting at home? When I’m resting I watch movies in the living room, or read a book, or drink a bit of alcohol while sitting beside the table in the balcony, things like that. There are many things to do at home. If I go into the work room to compose, then it won’t be easy for me to come out. If family members of friends come over to visit, I often cook. 1. Using achromatic colours like black and grey as main colours and blue as the supplementary colour, a bedroom that is stylish with a manly touch is presented. 2. During (his) rest days, he enjoys reading many comic books at home. The comic books on the round table were newly purchased by Jaejoong the day before the shoot. 3. Jaejoong’s accessories on the dresser in the bedroom. 4. Dressing room. Large walk-in closet, designed to allow many clothes and accessories to be arranged in here. Cooking scenes also appeared in “Protect The Boss”, are you really good at cooking? Looking at the kitchen, it seems the pots and pans are all arranged systematically. The cooking utensils seem quite professional. It’s because I’ve lived in a dormitory since I was young. Cooking for the members and preparing it for them, I would be in a good mood seeing them eat well. Recently I have been going to the supermarket to shop once I have time, and I often cook even when I am alone. I think its because I like cooking itself, that I enjoy this process of learning something new no matter what I make. Although “Cha Mu Won”, whom I play in the drama, has a character rather different from mine, but there is a part (of him) that is similar to me, and that’s cooking. Aside from cooking, what other hobbies do you have? Looking at your book shelf, you seem to have read many books. Recently I’ve been totally immersed in riding bicycles. I ride my bicycle everyday. When I ride, my mind clears up, it feels rather great. I’ve also been working hard to read as much as I can. If I visit a book store, I would go to the bestsellers section and see what books are popular, then use that as a basis to choose what books to buy. I also receive a lot of recommendations from my friends. As expected from a person who makes music, you really have many CDs. Do you listen to a lot of music wherever you go? Be it in the living room, the balcony, the bedroom, the work room, I listen to music everywhere. I think music is what connects everything else of me together. When I compose, I listen to music for 1 to 2 hours, while I think. This way, the lyrics that I could write or ideas for the tune seem to appear in front of my eyes in an instant. How do you feel now that the interior renovation is done, and the drama has finished broadcasting? To put it in one line, I’m happy. This drama is the first production I appeared in in Korea. I was really lucky to have met many good people through a good drama, and to have been able to learn through living the life of Mu Won. There is a line which Mu Won said in the last scene that I cannot forget. It was a line where he proposed by saying,”I will become an upright businessman. That path may be difficult, but are you willing to walk it with me?” I still remember it as it is very similar to my situation in real-life. 1. Jaejoong who says he enjoys cooking, in the midst of making Aglio Olio. Jaejoong is well equipped with the preferred cookware used by those who enjoy cooking. 3. Jaejoong working in the new work studio. He says does recordings and writes songs in this work room. 4. The many gadgets he uses for writing songs. A colourful CD rack and a chair displayed complement the otherwise dull work room. If you have any plans coming up, please tell us about them. We are also curious about your future plans for the interior design of your home. The big changes that need to be made now are just some household items, and the fabrics, to make them more suited to the change in seasons. I am planning to buy a piece of furniture or small display item that will not fade in colour even after being used for a long time, but instead increase in worth. When the November issue of Maison is released, I would be preparing for the Spain concert. (We will be) performing in Spain on 29 Oct (2011) and for the first time in Germany in November. When I return to Korea after the Europe tour, I’ll be writing new songs while taking a break, and charity events are also being planned. Seeing us do our part for charity could perhaps be a good influence on people? As an actor, I would like to try different roles. In the process of participating in the production of the drama this time, I’m more immersed in the charms of acting. For now I would like to focus on JYJ’s live performances, and hope to encounter more good productions in future. Ultimately, my dream is for JYJ and our fans to be happy together. Although it may be rather abstract, but that is the biggest dream I have. Although he had a headache from not getting any sleep the previous night due to his filming schedules, and carried out the photoshoot in his new home while on medication, Jaejoong had no complaints throughout the shoot. If he were to go into the room to rest without overseeing the process, he would not be able to go over the interior display items with the designers. Even after filming has ended, and all the staff are asleep, Jaejoong says he would rather cycle than sleep. One can see his energy from this. “Jaejoong is a client that can listen to the opinions of the designer and communicate well. He has an interest in interior designing, and also has a lot of good ideas. Also, rather than single-mindedly pushing for his own ideas, he would rather trust the designer’s opinions.” Park Chang Min, the chief of the designing team also said that this has been an enjoyable experience for the designers. The editors saw the effort that Jaejoong has spent and the emotions that he has for his new home throughout this month of partaking in the design works of his new home. I have personally seen Jaejoong decline special treatment often offered to artists, should the concept or quality of the designs not meet his expectations. “Looking at my home which I like, I could laugh out by myself, I’m really happy. Thank you everyone for working so hard.” Even though he was tired, this was his reply to the editors who thanked him for the shoot. From his short greeting, for the first time, one could feel that “home” and “interior design” are things that give him a lot of happy energy. Here, as a member of Maison, this thought makes me feel proud. 1. One of the highlights of Jaejoong’s home is the spacious roof terrace. The terrace floor is laid with artificial grass, and an outdoor table and rattan chairs are displayed, giving a natural look. At the same time, an arm chair and candle stands give an interesting touch to this space. South Korea’s best-known export today is not pickled cabbage. Instead, it comes in a sleek, pretty package and suits the tastes of people across Asia – especially young women – and increasingly the world. Move over, kimchi. Come on down, K-pop male idols. In the past few years, Indonesian teenage girls, like their peers across Asia and increasingly in Europe, have become devoted fans of Hallyu (Korean wave) entertainers such as Choi Si-won of Super Junior, Kim Jaejoong of JYJ (formerly a member of DBSK/TVXQ), SS501′s Kim Hyun-joong and many more. Back in 2009, the era of Bae Yong-joon with his famous Winter Sonata TV series gave way to protégé Hyun-joong in the role of Yoon Ji-hoo in Boys Before Flowers. 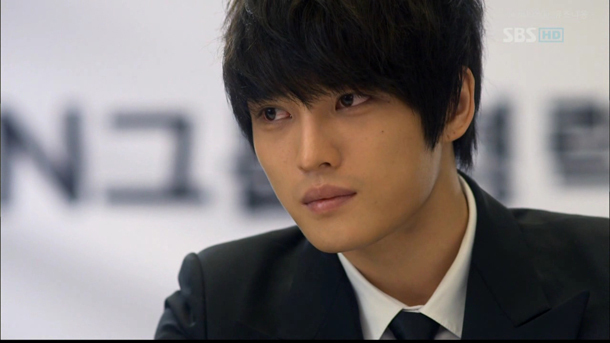 Jaejoong’s Protect the Boss and Si-won’s Poseidon, produced in 2011, have captured the hearts of fans who watch the series however they can – cable TV, video streaming, pirated DVDs or on YouTube. Asian countries, especially Hong Kong, Taiwan and Japan, have turned out plenty of attractive young entertainers in the past, but these Korean men – stylish, well groomed and well built – fulfill a fantasy for young women of the very handsome boy next door. According to psychologist Dewi Dewo, moviegoers want to see men who are good-looking but not intimidating. “Why do sweet-looking boys sell? Because the trend today is for them. Even young stars from the West are cute guys,” she says. Tati Winarsih, the author of Seoulvivor, a book on K-pop hot spots in Seoul released late November, believes that it’s only natural for everybody to want to see “beautiful creatures”. “These girls really love those pretty boys because despite their beautiful look, they are still able to show their macho side, their manly character. They aren’t effeminate despite their beauty,” she says, adding that reality shows have helped the stars to reveal their true selves to their fans. The dramas also sell Korea. The comprehensive training system, according to SM Entertainment CEO Kim Young-min, is the secret behind the success of K-pop. SM is currently the biggest entertainment agency in South Korea, with its stable of stars including DBSK, Super Junior, Girls’ Generation, SHINee and f(x). “Creating” a superstar is not a cheap enterprise. SM founder, Lee So-man, revealed how his agency spent 4 billion won (S$5.1 million) grooming the original five members of DBSK, according to Chosun. The amount doubled as the group – named the best second-generation K-pop band from their 2004 debut until they splintered into DBSK and JYJ in 2009 following a legal dispute – started producing their album and doing promotions. The enormous investment pays off: The artists, once successful and popular, are veritable money machines. According to one estimate, the Hallyu may have generated as much as US$4 billion in sales in 2011, a 14 per cent increase from the previous year. The number is likely to grow given the high demand for more concerts and fan meetings overseas. 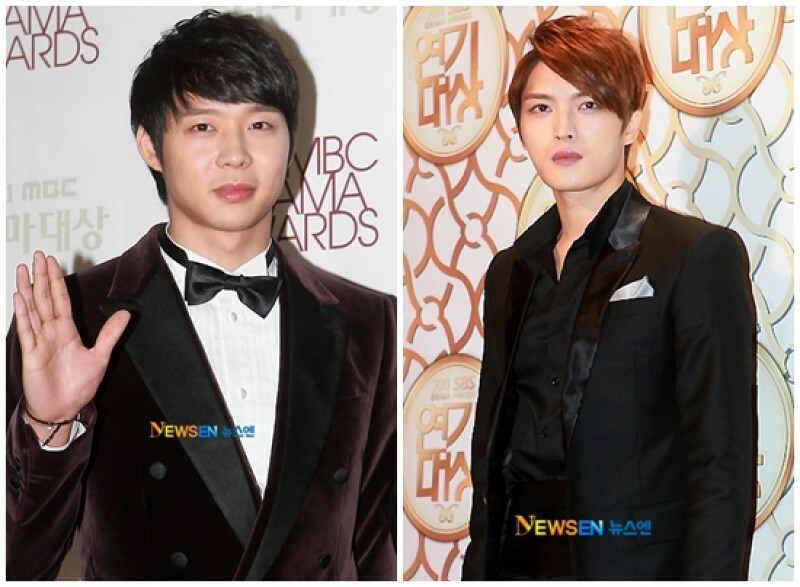 [Trans] 120102 JYJ’s Kim Jaejoong and Park Yoochun Have JYJ’s Kim Jaejoong and Park Yoochun have been awarded Newcomer Awards. In the SBS Drama Awards held at the SBS Open Hall on 31 December, Kim Jaejoong received the ‘New Star Award’. He had made his debut as an actor through his role as Director Cha Mu Won in the drama “Protect The Boss”. Previously, on the MBS Drama Awards held on the 30th, Park Yoochun received the Best Newcomer Award. Park Yoochun took on the role of Song Yoo Hyun in MBC’s “Miss Ripley”, a man with a sad fate, who sincerely loved Jang Mi Ri but ended up in a crisis because of her lies. Park Yoochun also won the Best Newcomer Award at the KBS Drama Awards in 2010 for the drama “Sungkyungkwan Scandal”. JYJ’s Kim Jaejoong revealed a photo taken together with his co-stars from “Protect The Boss”. On the afternoon of 1 January, Jaejoong tweeted on his personal account “With Senior Kim Young Ok and Ms Wang Ji Hye^^” and uploaded an image with this tweet. 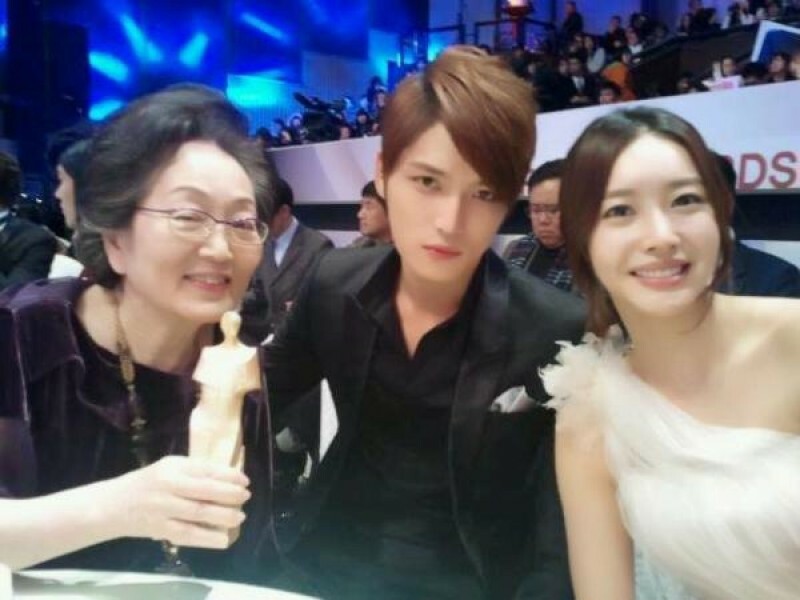 The image showed Kim Jaejoong together with Kim Young Ok and Wang Ji Hye, taken from the “SBS Drama Awards” which had been broadcast on 31 December. Kim Young Ok was holding the lifetime achievement trophy that she had been awarded. In the SBS Drama awards, Kim Jaejoong as well as Wang Ji Hye and Jung Yumi were all awarded the “New Star Award”, and Kim Young Ok was awarded the lifetime achievement award. Netizens who saw this said “The drama may be over, but ‘Boss’ lives on forever!” “It’s great that they look close” “I want to see these three in a drama again” and other responses.